Are You Terrible at Baking? Now Casting New Major Cable Network Pilot! Do your attempts at baking birthday cakes leave you fuming? Fed up with your baking looking nothing like the recipe and tasting even worse? 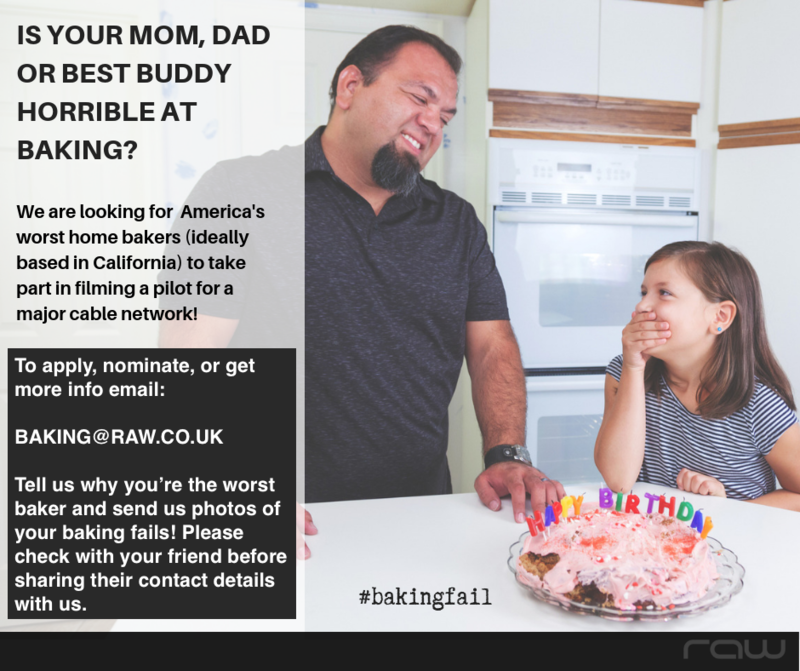 We are looking for self-confessed “bad bakers” from across the United States (ideally California) to take part in filming a pilot for a major cable network! If you want to transform your baking skills with help from the best – apply today! Nominations are also welcome. I’m 23 a young stand up comedian and have no idea on cooking. I have a feeling we can make a hilarious show, just need a chance.